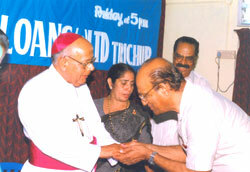 Blessing of the Institution by Late Mar. The origin of the Chit Funds can be traced back to many centuries in the rural parts of Southern India. Chit Fund is one of the oldest forms of indigenous financing in India. It is also a means of saving. In the ancient form of a Chit Fund scheme, a group of persons would deposit a fixed measure of grains with a trustee periodically, and the total quantity of grains collected at the end of any given period would be given to one among them, by drawing lots, is called 'kurippu' in malayalam from which the word 'kuri' is derived. The words 'kurippu' and 'kuri', translated into English, means 'Chit' from which the term 'Chit Fund' was coined. The Chit Fund schemes have remained much the same even today as they were in the beginning. One difference that has arisen over the centuries is that now the subscribers contribute in terms of money instead of agricultural produce as it used to be in the earlier days. The basic characteristics of a Chit Fund scheme, namely ,all subscribers contributing to common fund which is given to one of the subscriber is rewarded with the Chit amount (known as 'Chit prize amount') by the end of the scheme, remain without any change even today. In the olden days, when banking facilities were not available in the rural parts of the country, the needy people mainly depended on Chit Funds, as a mutual benefit activity for satisfying their financial needs. Even now, the procedural difficulties in availing bank finance make Chit funds an attractive and easy source of finance to a common man. In recent years, the Chit Fund activity has assumed the characteristics of a business and it has spread from the rural areas to urban areas. 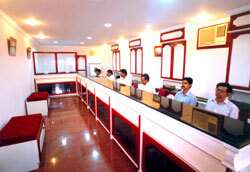 A Chit Fund is, thus, a mutual benefit saving scheme of a group of people who are the subscribers to the scheme. 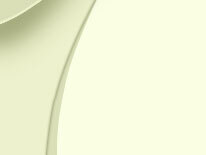 All subscribers contribute to the scheme in installments. After receipt of every installment, a lump sum amount is given to one of the subscribers by draw of lots or by auction, so that everyone of them is awarded the amount by the end of the scheme. The Hon'ble Supreme Court has held in M/s Shriram Chits & Investments (P) Ltd v. Union of India (AIR 1993 SC 2063) that Chit Fund business cannot be termed as money lending businesses. Most of the subscribers to the Chit Fund schemes are individuals who use these schemes to channelise their savings or are planning to meet their financial commitments in future. Whenever a subscriber needs money, he may bid for the Chit to receive the Chit amount. Since the installments may be spread over many years as per a Chit Fund scheme, the prize amount is repaid over the years. Small traders form a sizable chunk of subscribers who use Chit Fund schemes as a means of financing their businesses. Searching for financial security, find the noble way here from Karunya Kuries. The best way to secure your international financial solutions.